Why would I need self storage in Ocala, FL? There are a variety of reasons why you might need self-storage in Ocala, FL. How much is a storage unit in Ocala, FL? The cheapest storage unit in Ocala, FL is $25.00 per month. What size storage units do you have available in Ocala, FL? In Ocala, FL we have sizes that range from 5'x5' to 10'x20' to suit your storage needs. How much is it for a 5'x5' storage unit in Ocala, FL? The cheapest 5'x5' storage unit in Ocala, FL is $25.00 per month. Ocala is a popular tourist destination in Florida's Marion County. The city is home to a mid-size population, although its strong tourist industry sees it welcome many more people throughout the year. A large number of thoroughbred horse farms, equestrian venues and horse riding trails have earned Ocala official status as the horse capital of the world. According to archaeologists, indigenous people called the Ocala area home as far back as 6500 B.C., with the Timucuan tribe being one of the many native groups to inhabit the land. Through the late 18th and early 19th centuries, Ocala was a popular home base for Native Americans and freed slaves. In 1827, the U.S. government established a fort in the area, which would later evolve into the community of Ocala. The modern-day city of Ocala was founded in 1849, named after the native Timucuan word "ocali," meaning "big hammock." Ocala grew quickly when the railroad was built through the town in 1881, but its growth was halted when a large fire tore through the downtown area two years later. Refusing to surrender, the citizens rebuilt their city with hardy brick, steel and granite, and Ocala continued to grow and evolve into the thriving community it's known as today. Ocala's unemployment rate lies just below the national average, with many opportunities in the city's agricultural and manufacturing industries, especially in the vital thoroughbred horse sector. 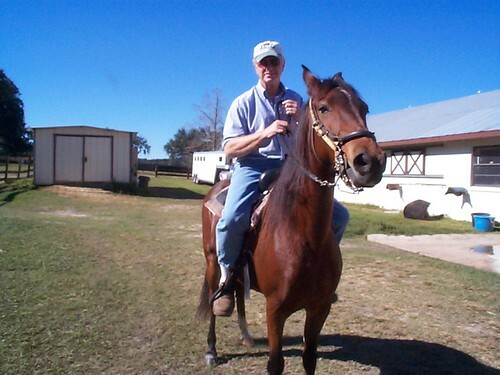 Ranching, horse-breeding and equestrian venues all provide a number of jobs in Ocala. The city also has a variety of light manufacturing firms producing products as diverse as auto parts, household goods and electronics. These sectors have helped Ocala post modest but positive job growth in recent years. The diversity of businesses in the city has helped strengthen Ocala's economy. The Marion County Public School District oversees elementary, middle and high schools teaching students from kindergarten to 12th grade. There are 60 schools in the district, which is headquartered in Ocala. Utilities: The city provides all local utilities through Ocala Electric Utility and Ocala Water Resources. Garbage and Recycling: Trash, recyclables, yard waste and bulk items are collected on a weekly basis. Transportation: The Ocala Sun Tran operates a network of bus routes throughout the city. Ocala's residential area is known for its beautiful tree-lined streets dotted with Old South-style homes, which give it a more charming, quaint feel than many Florida towns. Stylish single-family homes, condominiums, villas, patio homes and apartments are all available in Ocala. Despite their high desirability, dwellings in Ocala cost significantly less than the national average. Our lowest priced units in Ocala, FL average $42.50 per month. 137 people have reserved units in Ocala, FL in the past 30 days. There are 2 locations within Ocala, FL's city limits. There is 1 location in Ocala, FL that offers AC and Heating features.